Sony is generally known for its Music optimized Smartphones with a premium look & its quality. Even I’m a Walkman lover because of its Interface & features. Sony Smartphones were preferred for their simplicity, features & hardware which was always trustworthy! Sony always had some unique features in their Smartphones that made it stand out in the market. One of it was Sony Walkman. 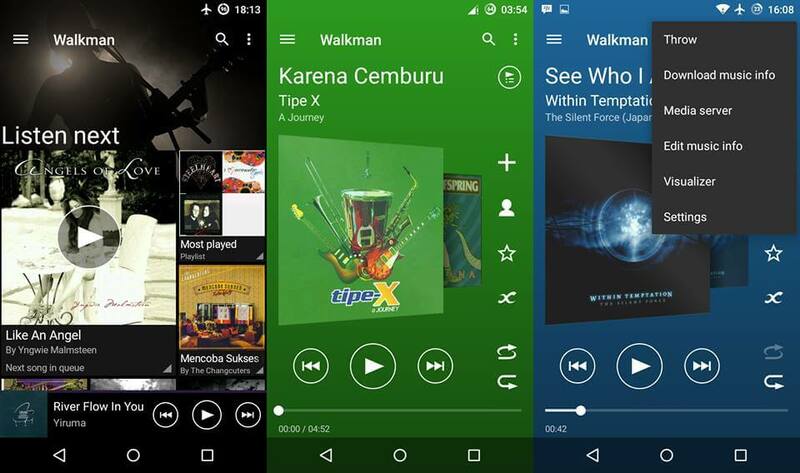 Download Latest Sony Xperia Z5 Walkman APK for Android which works on rooted as well as non-rooted devices. We respect this work of XDA devs TodorSRB & ibanez7. It’s because of their hard work; we can install this Walkman app on our Android phones. This latest build has the material design, sound improvements & fixes for compatibility issues. Rooting an Android while it’s under warranty, is a hard decision. Many Android users don’t want to void their smartphone’s warranty by rooting it just for a music player. While for some, the word “ROOT” means some rocket science coding stuff. But don’t worry, we have a Material design Sony Xperia Z5 Walkman Music Player which works on Non-Rooted devices with the latest build & best design. Why Root if you can enjoy it without rooting! The Sony’s Walkman APK is listed below; you can Install it as a regular APK file. If you don’t want random force closes in your Walkman App, install the stable version. 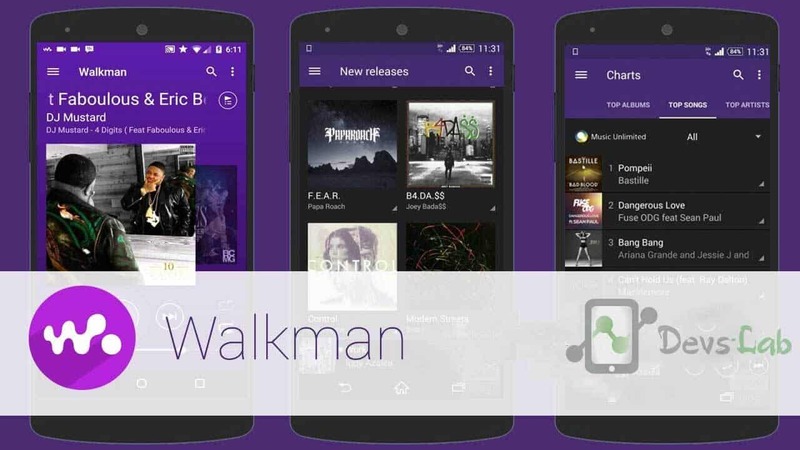 How to Install: Download the Walkman APK file & Install it as a normal APK. How to Install HTC Blinkfeed on Any Android. How to Install Dolby Atmos Surround Sound on any Android. We have tested this Walkman files on more than 60 different Smartphones & it installed properly by following the below methods. Walkman :Sony Walkman for 5.0+ & 4.2+. Music widget of Walkman for any launcher. Always make a Nandroid backup for safer side. Copy the downloaded files to your SD card. Now Reboot your phone into recovery. Note: If you want to reverse back everything, just restore the Nandroid backup. Wipe cache and dalvik cache ans select Install zip option. Locate the Xperia walkman file and wait until it gets installed. Now again select install zip from file and locate build.prop. After Installation system will auto reboot . I hope you enjoy using Walkman on your phone. Don’t forget to Press the Thanks button on official thread of this apps, Non-Rooted: TodorSRB & Rooted: ibanez7. It would be a great help for them if you could make a small donation for them, you can find the donation button in their profile. Don’t forget to like, +1 & share this post with all other Walkman lovers out there.